I seriously doubt even more than a few people ever check this, but I do occasionally. Just thought Id show you guys what Ive been doing lately. 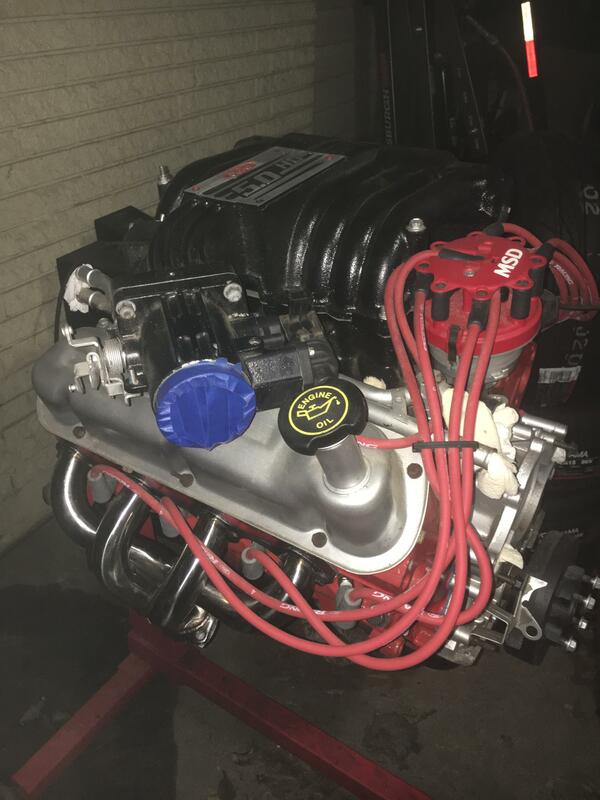 Ive been working on putting a 5.0L V8 from a Mustang GT and putting it in a Miata. 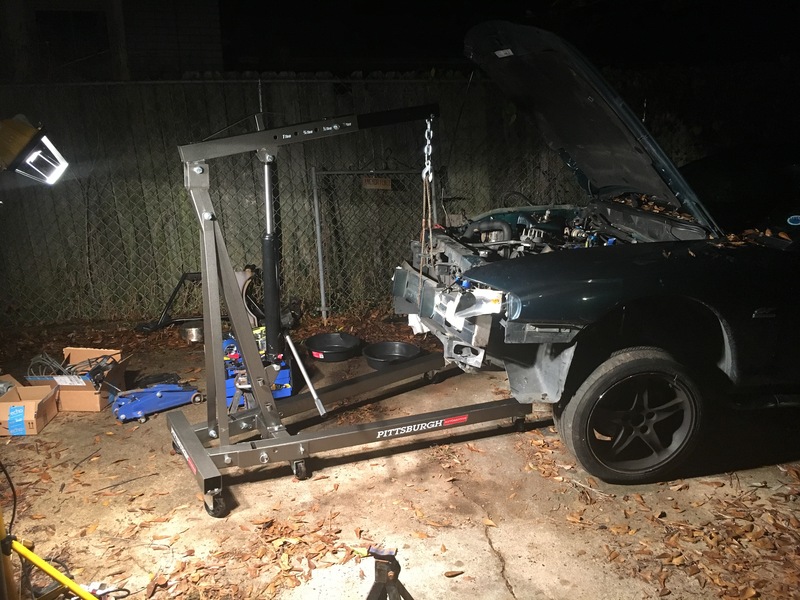 Ive got most of the parts, still need the transmission, rear end, cooling system, and assorted mounts and stuff, but Im getting there. Ill probably start pulling the 1.8L out of it on a few months when the colder weather gets here. 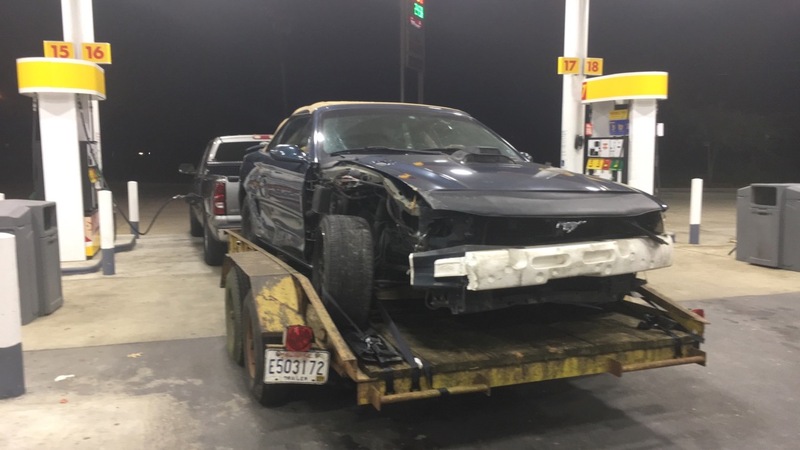 I picked up a wrecked '94 Mustang GT for $550, and pulled the drivetrain from that. 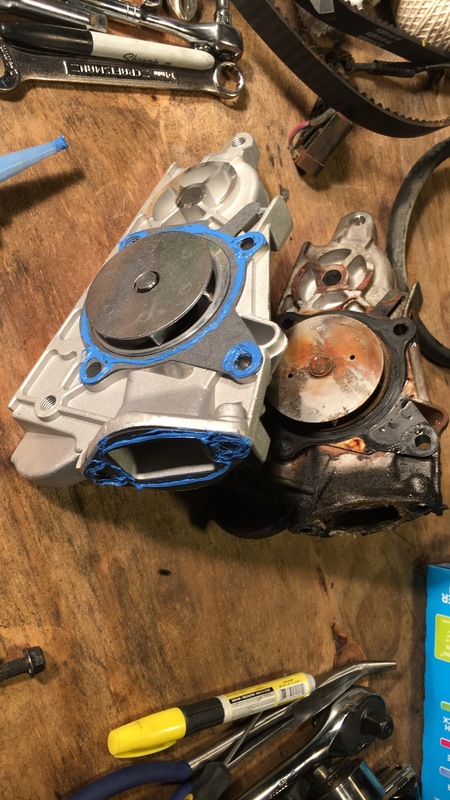 It was an automatic, so I wont be using the transmission. I may have a guy who will buy it though. The wrecked car was actually the same year and color as my old GT some of you may remember. Then I cleaned up the engine and changed all the gaskets. 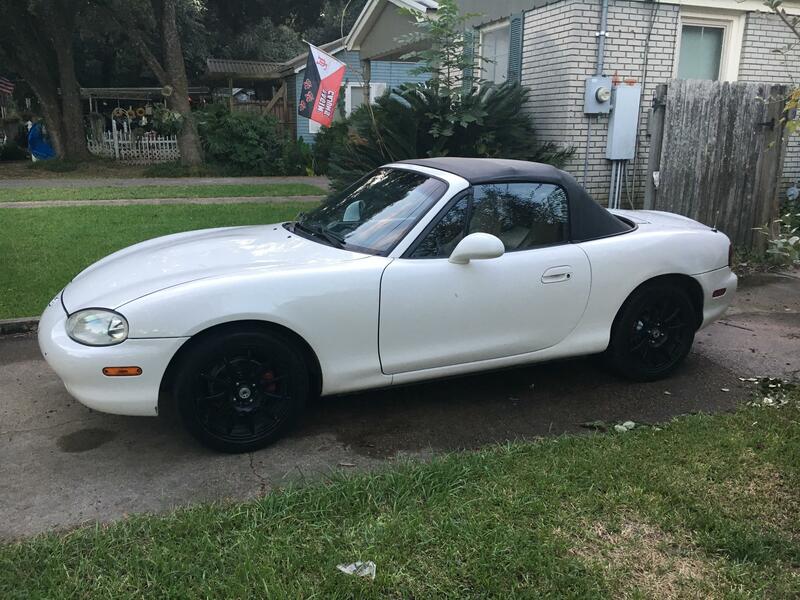 I ended up selling the car itself for $200. So that means I’m $350 into the engine. With all the money I put into it, probably around $500-600. And Ive still got the transmission to sell. 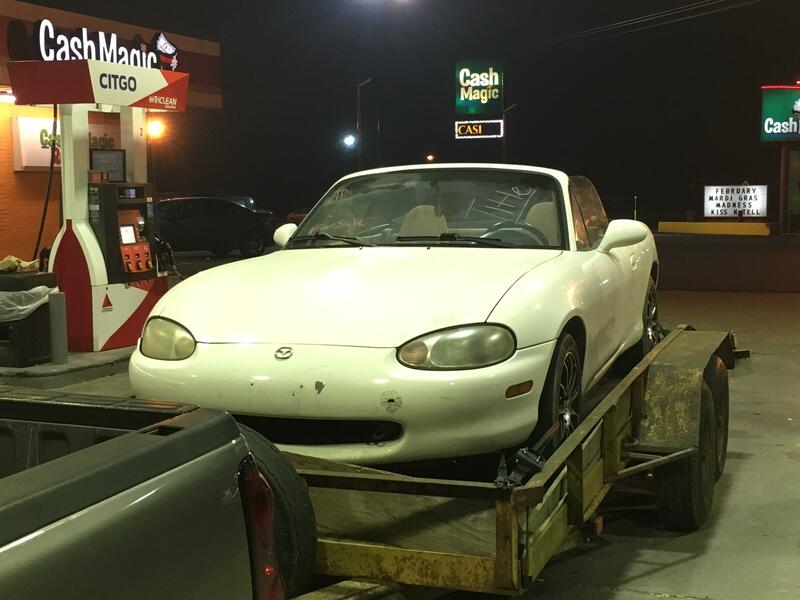 The next step was to get a Miata. 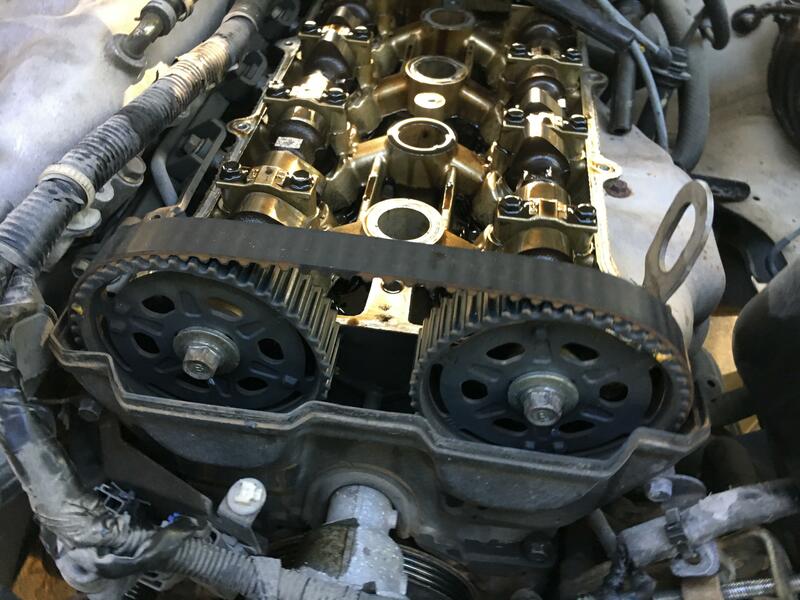 I found a guy locally who had one that he said didnt run because of a dead battery, and needed some work with the coolant system. 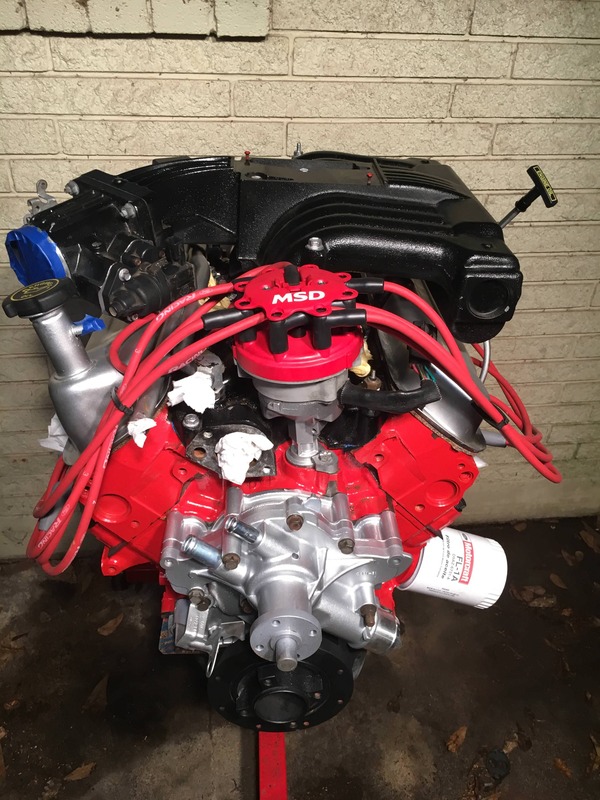 I ended up picking it up for $1200 with the intent of just pulling the engine and not even being able to drive it till the V8 was in it. So I picked up this thing. It needs paint on the bumpers, but everything else is good to go as far as cosmetics go. The seats are torn, but I’m going to be running a roll bar with 5-point harnesses and race seats, so they’ll be gone. Well I got it home, and I decided to put the battery from the Mustang in it, and it started right up. So I ended up getting it registered and insured, and I drove it for a few weeks before the after pump went out. So I ended up having to change the water pump and timing belt. I changed plugs and stuff while I was in there. Got that back together and even painted up the valve cover. Oh I forgot to mention, the car also came with a nice aftermarket aluminum radiator. I cleaned up the car, and have been driving it since March. Its had a few problems, but I think Ive got everything sorted out. Ive been using it as my daily driver and putting all the miles on this engine that I dont plan on keeping. If youve never driven a Miata, you need to. They are SO much fun. Its seriously just a street legal go-kart. I did a full clay bar, wash, wax, and detail on it the other day. The thing cleaned up nice. The bumper is still fucked, but Ill get that painted eventually. Most people say this swap costs between $10-12K. Where I’m at I should be able to do it closer to $7-8K. 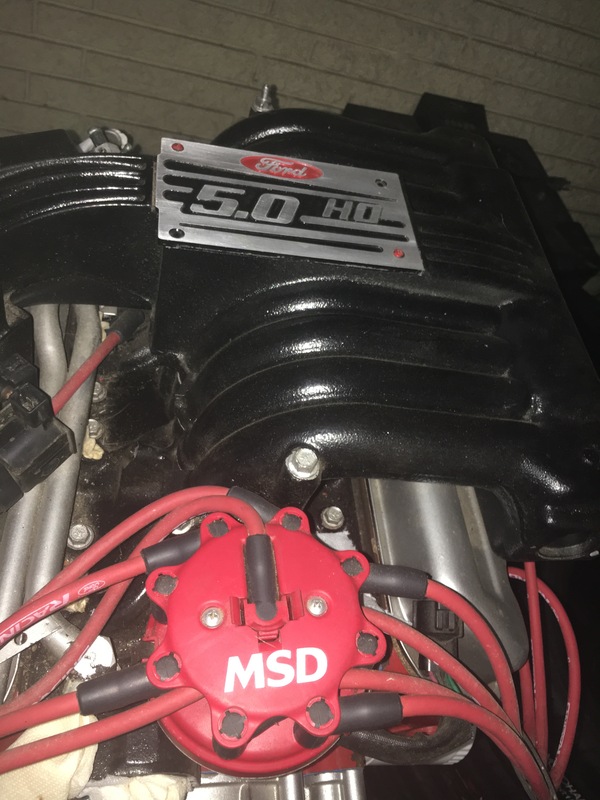 It wont be the most powerful V8, but its super cheap, I know them very well because I owned my old 5.0 Mustang for like 7 years, and theyre a good starting point. My goal is to have around 400 HP to the wheels in a ~2500lb car. Its mainly going to be a street car, so I’m keeping power steering and AC, but I do plan to track it if I can find the time. 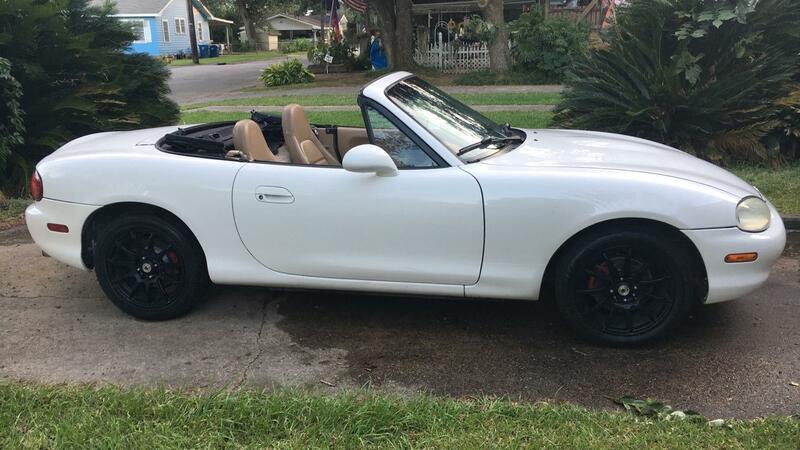 Any update on the Miata? Its still got the 1.8L in it. I moved last week so Im still working on getting the garage sorted. The car has gotten some work though. I installed a roll bar and a nice bucket seat. The lower seat helps with clearance since Miatas arent really built with 6' tall people in mind. Once the weather cools down for good here I plan on pulling the factory stuff. I picked up a transmission, so the only big things I still need are the rear end and the cooling system. Already did. They're just a slightly different shade of white so you gotta get right next to the dicks to see the dicks.